Filmmakers constantly face exposure challenges on set, choosing between detail in the highlights and in shadows. Shooting Log from the camera is a partial solution, recording a broader brightness range but still you need to compromise on the monitor's image quality. 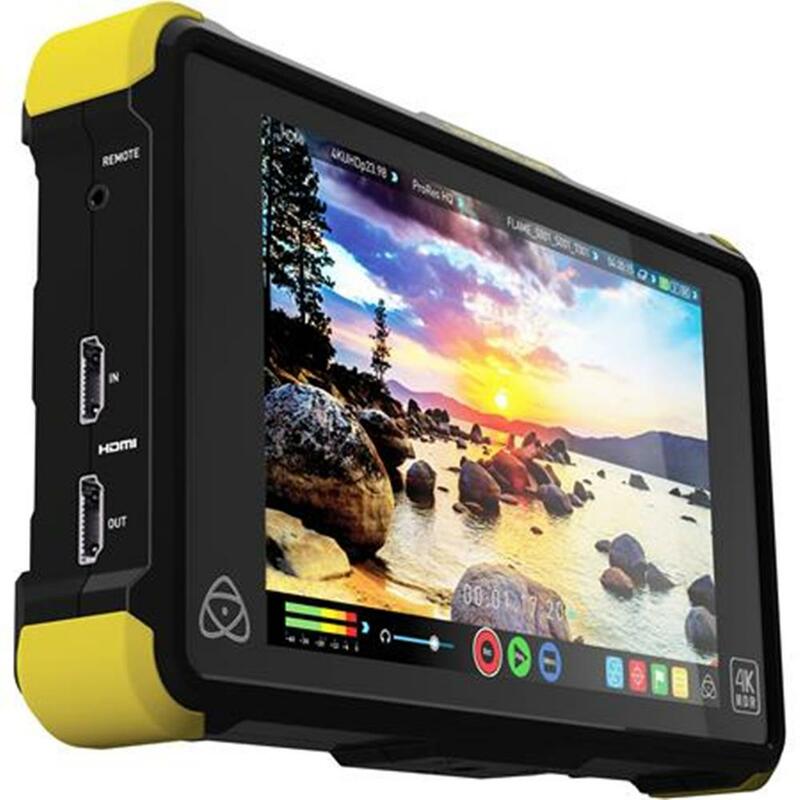 The solution is the Shogun Flame, a 7" 10-bit AtomHDR 1500nit Field Monitor with 4K/HD 10-bit ProRes/DNxHR recording, Sony & Canon Raw to ProRes/DNxHR recording, professional HDMI, SDI and XLR connections along with LTC/Genlock & bidirectional SDI/HDMI conversion needed on set and in broadcast. With AtomHDR, you get the brightness and dynamic range of HDR Log with natural, vibrant colours to let you simply shoot the way you see. Outside of 10-bit 4:2:2 ProRes/DNxHR, the Shogun Flame adds recording functionality not found in other recorders. Trigger start/stop recording over HDMI from select Canon, Sony, Panasonic, Nikon cameras. Convert interlace video from your camera to progressive on the fly with built-in 3:2 and 2:2 pulldown and gain advanced functionality like Pre-roll (continuous cache recording to never miss the action) and Time lapse to maximize your creativity. Our built-in armor enhances protection & airflow.